Journal «Engineering industry and life safety» publishes new original papers that should contain the author’s results of investigations in such fields like the developing highly effective technical and technological systems, the energy and resources saving technologies, environmental control and protection from the technogenic factors effects. Scientific journal «Engineering industry and life safety» is included in the Russian science citation index (RSCI) that includes the most authoritative Russian scientific journals. It imposes limitations on the publication of articles submitted to the editorial board. The article should contain the clearly defined objective of the research, the main part describing methods to achieve a goal and conclusions, arising from a previously defined objective. Submitted articles are considered by the editorial board not only from the point of view of conformity to the Journal’s scope, but also from the point of view of conformity to the specified requirements. Periodicity of the journal is 4 issues a year. «Engineering industry and life safety» (EILS) is an international scientific open access peer review journal. Journal publishes new original papers. 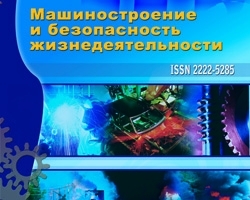 The Publisher of “Engineering industry and life safety” (ISSN 2222-5285) is Vladimir State University.